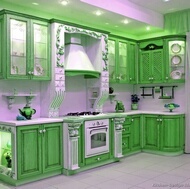 Green Kitchens: No other color spells "relaxing" like the color green. 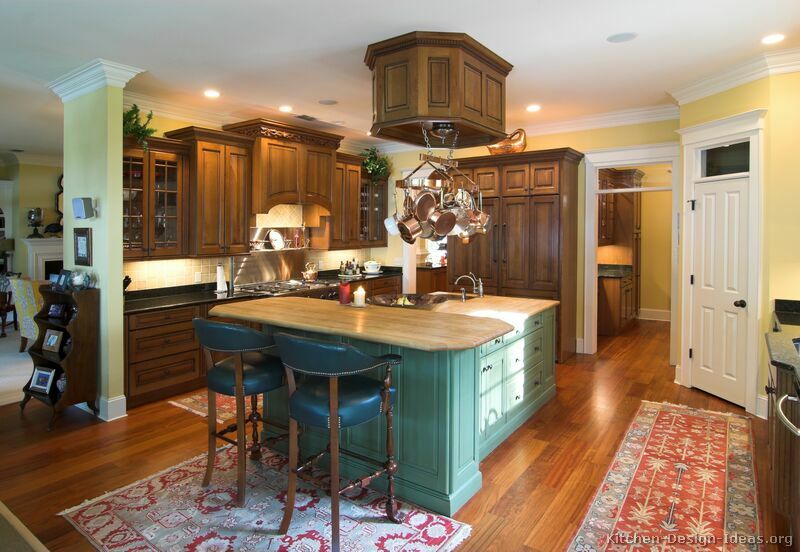 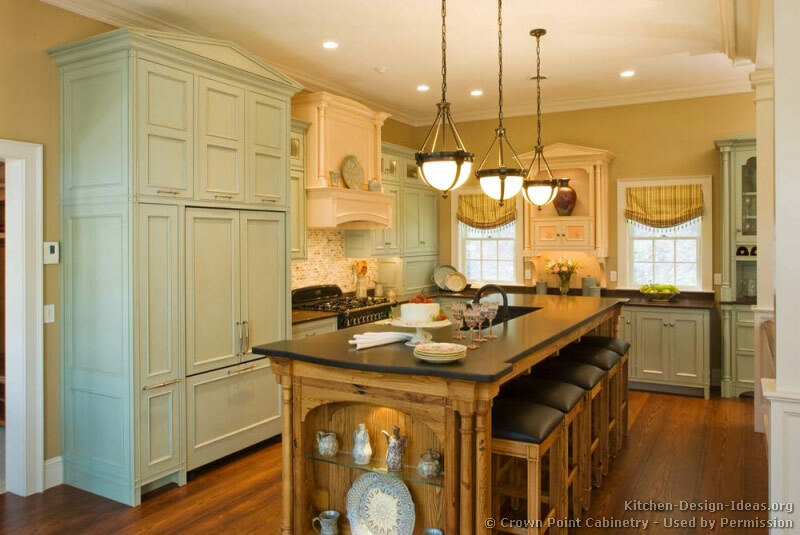 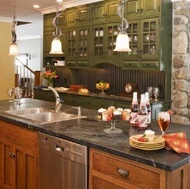 Traditional green cabinets combine nature with fashion, and are found in cozy kitchens and luxury homes. 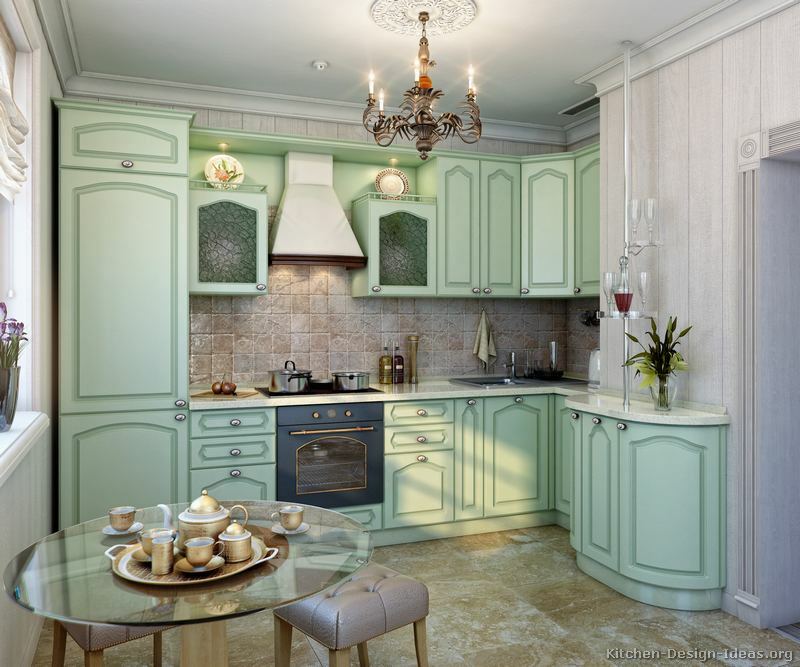 Green Kitchens - Setting the Mood: Because green is a predominant color in nature, it often evokes a feeling of spaciousness, height and depth. 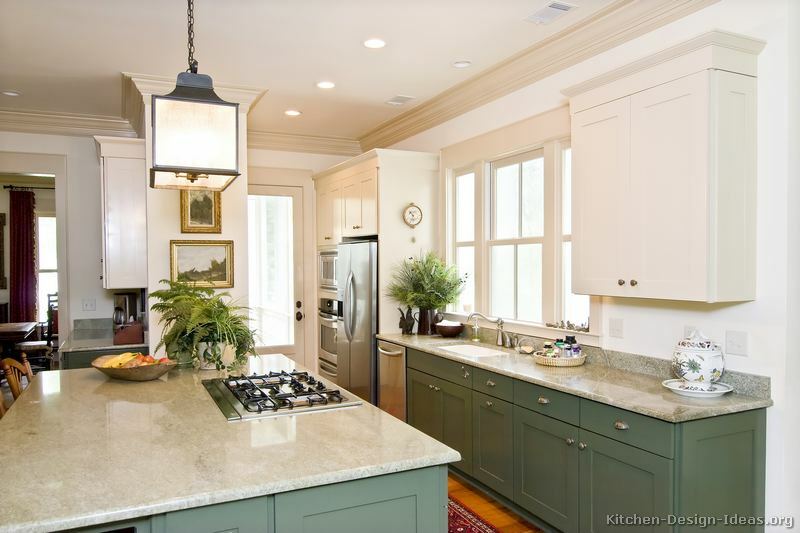 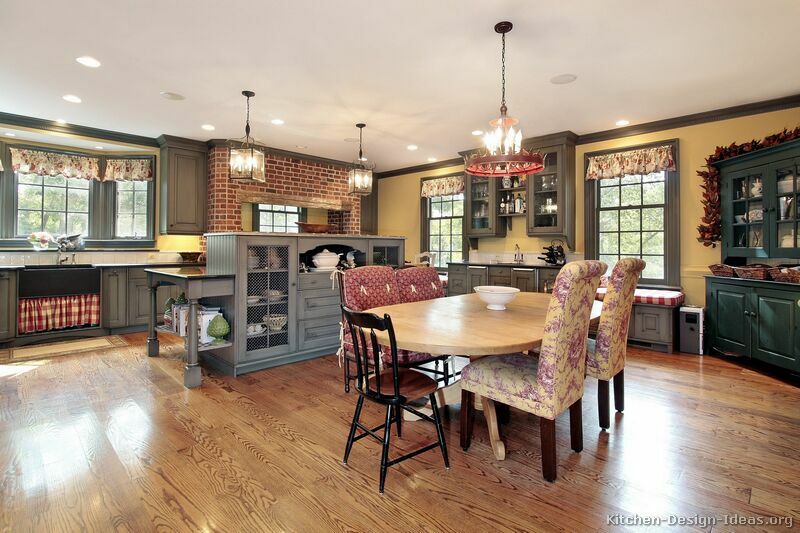 A green kitchen will often feel more roomy, as if the color itself were receding peacefully. 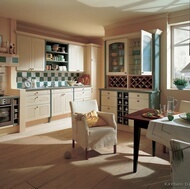 It can also represent equilibrium, a perfect mix between warm yellow and cool blue. 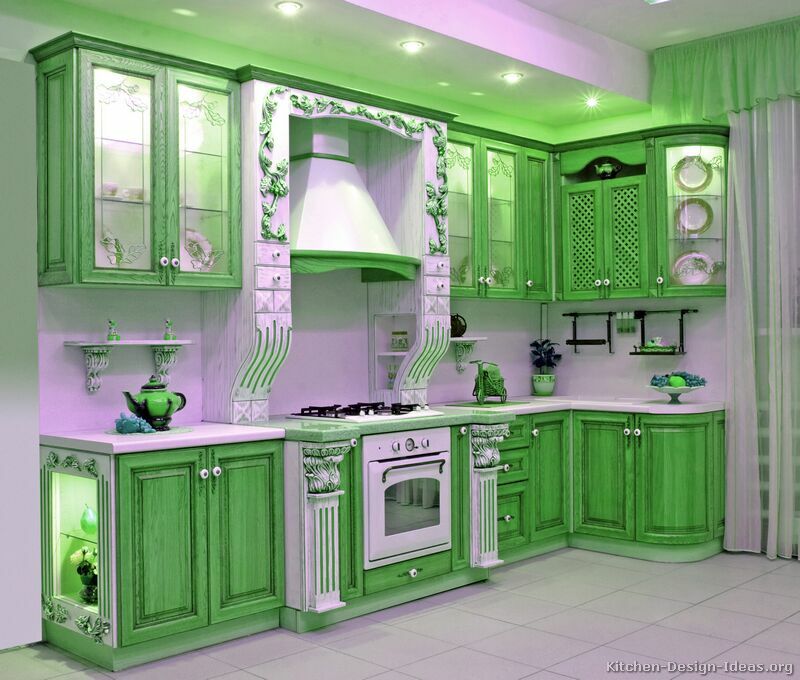 Some suggest green has a calming, soothing affect on people. 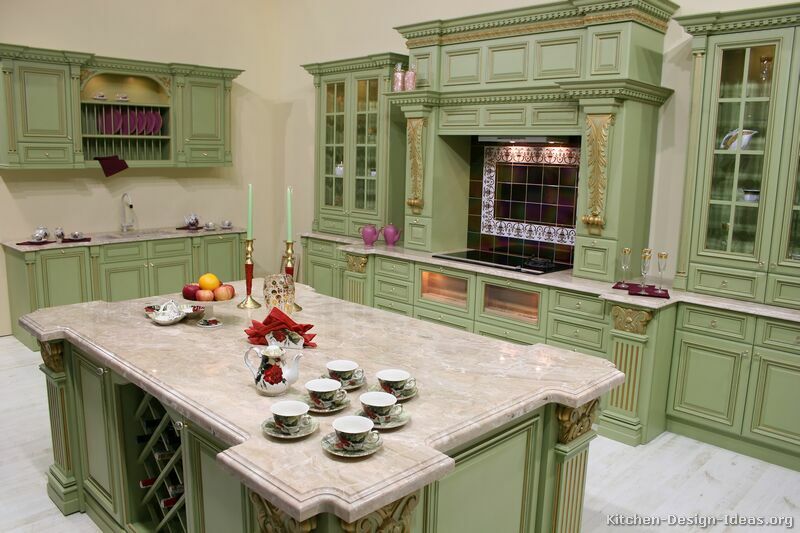 Because of its associations in nature, green tends to remind us of nature, creation, pleasant temperatures, springtime, and renewal. 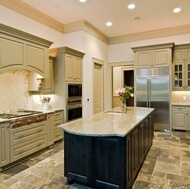 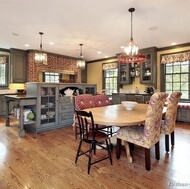 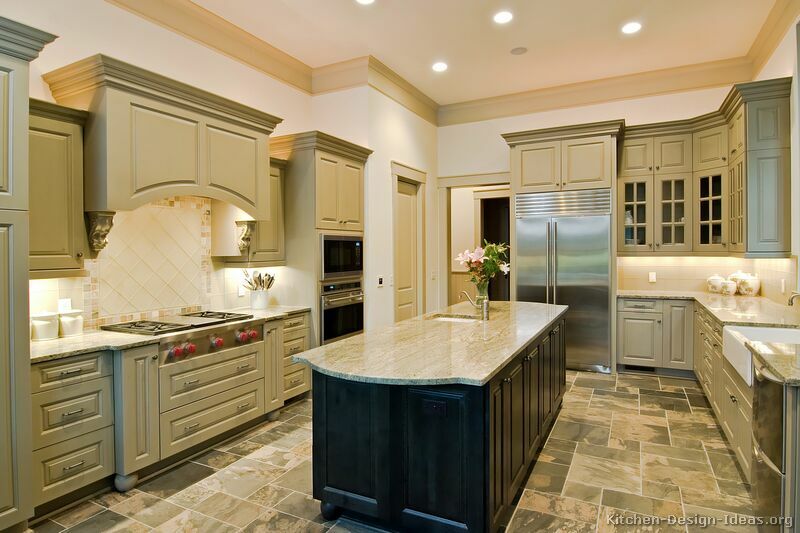 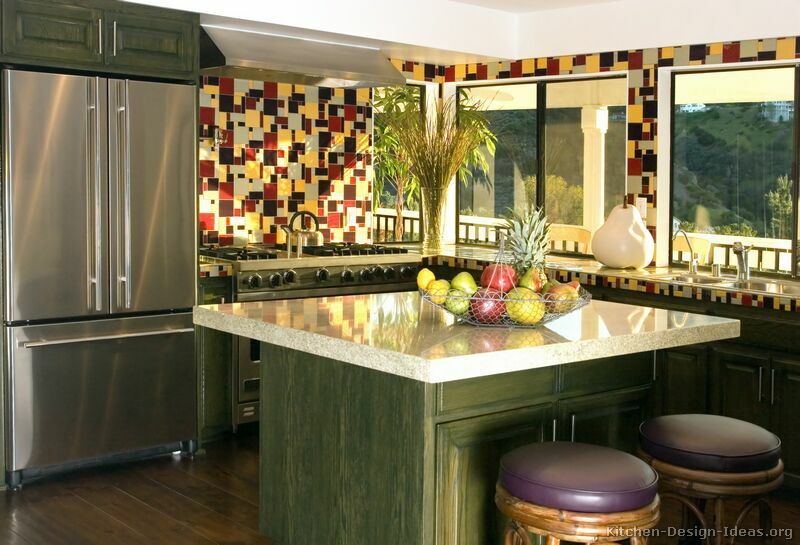 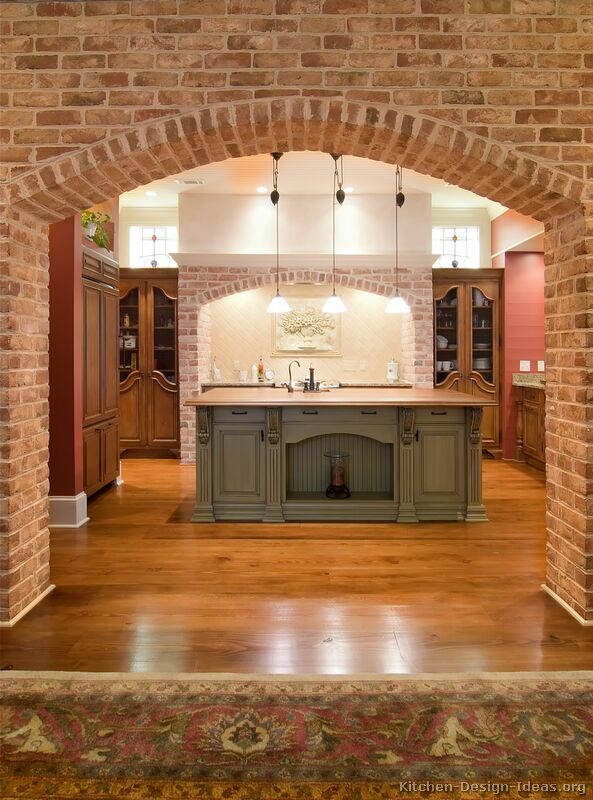 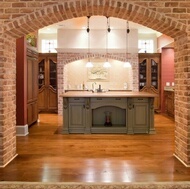 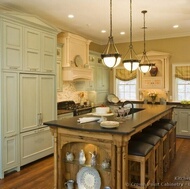 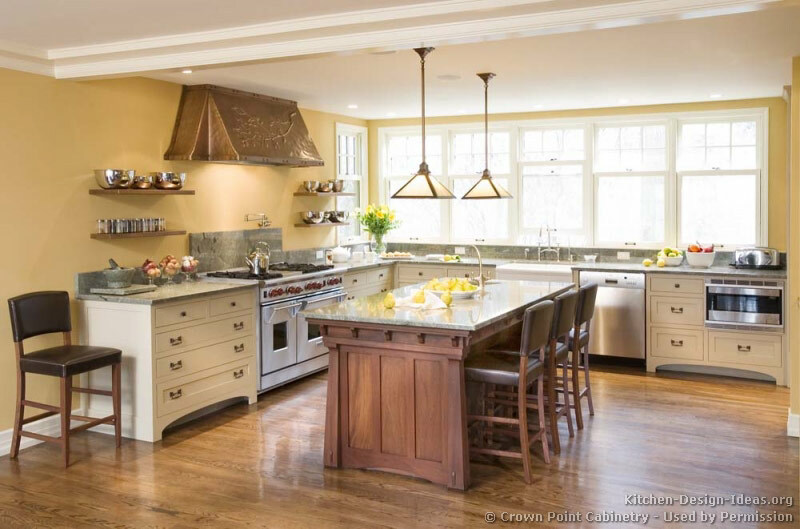 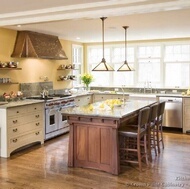 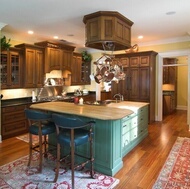 Green Kitchens - Trends: Because green is so pervasive in nature, green is essentially a timeless color. 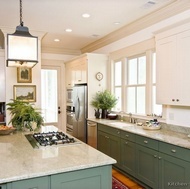 Some designers call green "the new neutral" color. 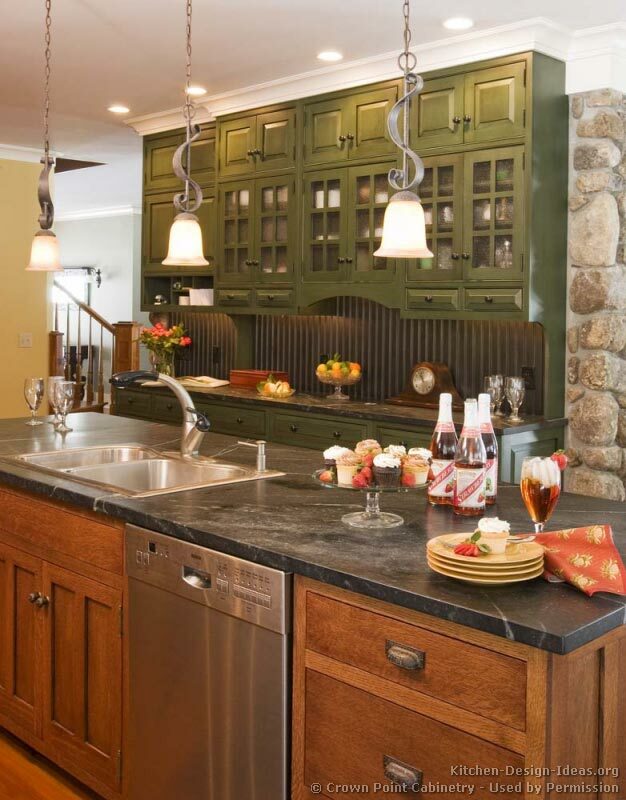 Like a backdrop of rolling grassy hills, a classy green kitchen should never be out of favor. 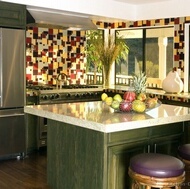 Green can add a sense of tranquility to the kitchen, and make it a more inviting place to stay and work. 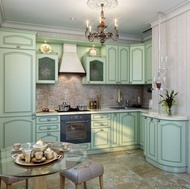 Certain shades of green are more energetic and trendy, as you'll see in some of the photos below. 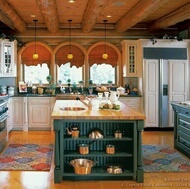 You'll find several pictures of kitchens here featuring green cabinets, with green as either the central color or as a contrasting accent in two-tone kitchens. 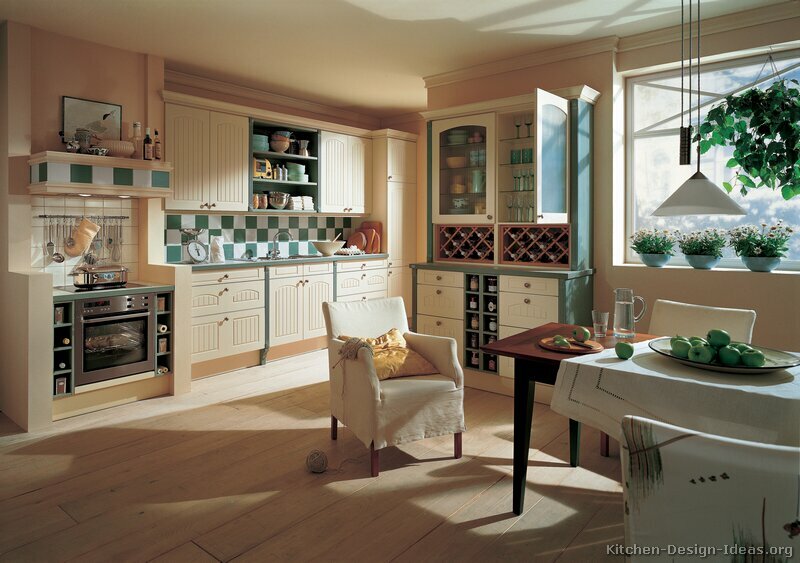 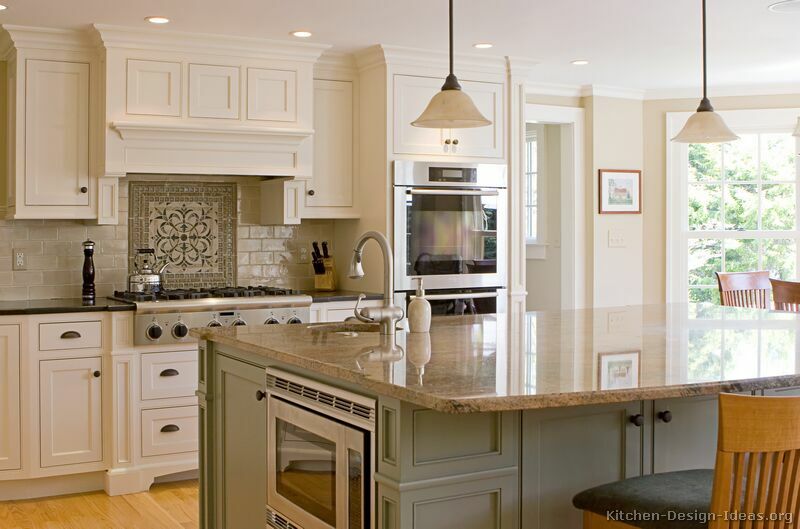 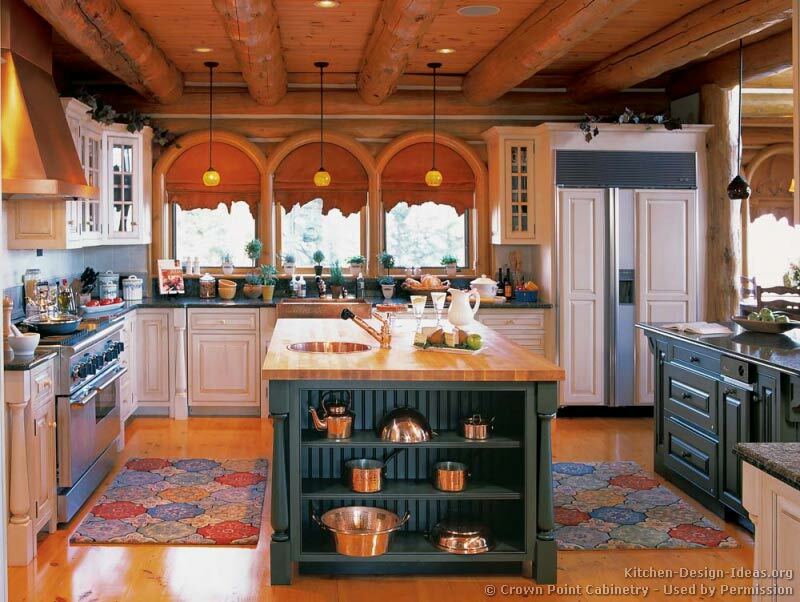 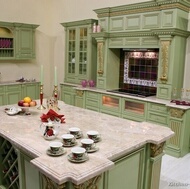 Green Kitchens - Everyday Use: Green cabinets require a moderate level of care and attention. 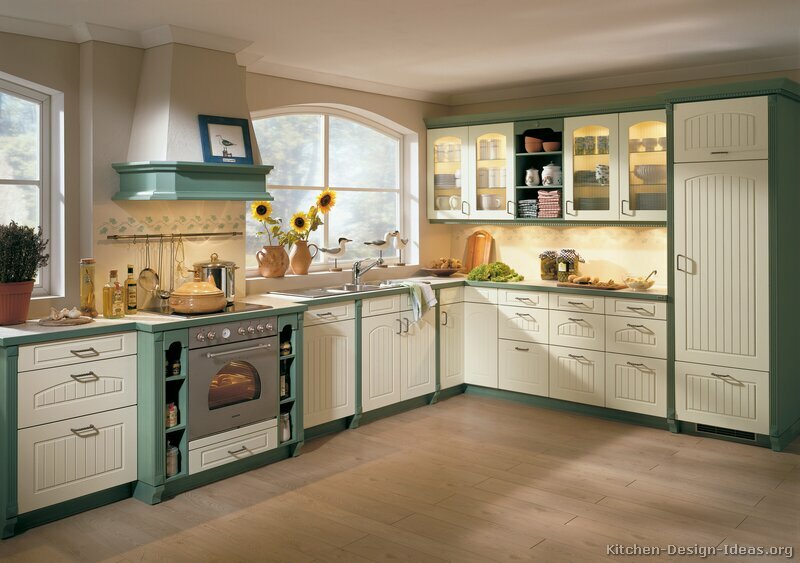 Since dust tends to stand out visually on a dark surface, dark green or forest green kitchen cabinets may require more frequent gentle cleaning and dusting than mid-toned cabinets. 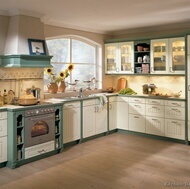 Bright greens will show dust and smudges readily as well. 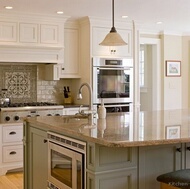 Careful planning in advance can pay off with a lifetime of enjoyment in your traditional green kitchen.